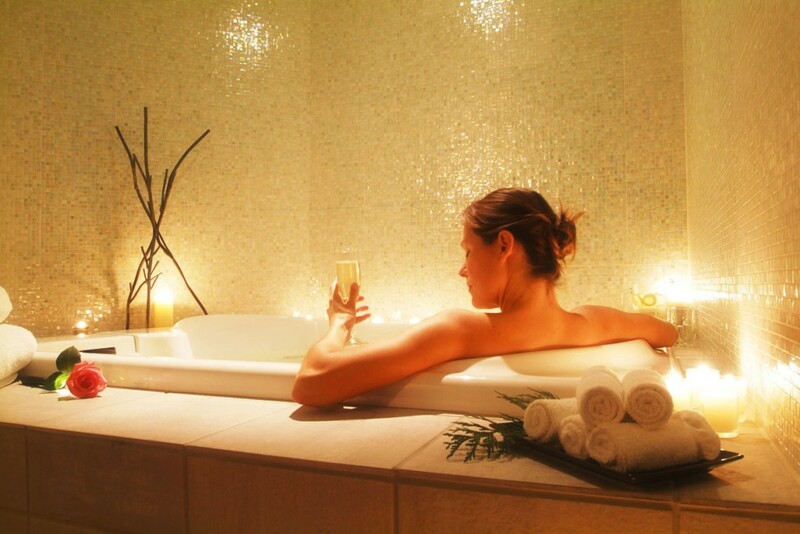 Create your own spa at home can give very rewarding moments of pleasure after a long day of work. Turn your bathroom into a comfortable place where you can relax while taking care of your body. Start by ensuring that your bathroom will transmit relaxation: a deep cleaning and tidying the bathroom is essential for when you’re enjoying the moment, your eyes also perceived that feeling of relaxation. Lighting is key to giving your bathroom a relaxing and soothing. Try closing the blinds to block natural light, and instead resort to a small scented candles. A luxurious spa would be incomplete without some relaxing chill-out music. Get rid of the irritating music and create playlists with some soft shades. For a spa treatment at home, comfort is key. From a soft towel to a neck pillow, are small details for your home spa really make a difference. Make sure the room is warm and there are no drafts and keep your towels on the radiator when you leave the bathroom. For a relaxing bath experience ideal, essential oils are a must. Lavender oil is ideal for a perfect dream state, rose oil is known for its relaxing fragrance. Sometimes we forget to pay attention to our skin, especially in the winter months. There are all kinds of simple and inexpensive things that could try to improve the appearance of the skin. Body scrubs are a great way to improve circulation and remove dead skin. The facials at the spa are great but expensive. There are some ideals and especially economic masks. When it comes to your eyes, a simple trick to calm this area is to put a few slices of cucumber on your eyelids. If you do not have cucumber on hand, cotton pads soaked in ice cold water work just as well. A large towels are a must to create that spa feeling. The spa robes are also a great idea to experience real and complete spa. Give your skin the full treatment and be sure to moisturize your skin well after bathing. Do not let your spa experience ends when you leave the bathroom. A cup of green tea or fruit juice is a great way to detoxify and make you feel revitalized and refreshed. Now you know how to do, do not think too much and try it. You will not regret.